Lexco has signed on as the newest distributor of Scura Speed & Technology's (SST) wildly popular Oryg detanglers and cables for BMX bikes. The aftermarket products are the cables of choice for many BMX riders, racers and vert specialists because of the cables' performance and durability. Plus Oryg cables and detanglers fit practically any bmx bike, and are priced below the competition. "SST's Oryg detanglers and cables are top of the line and that's why consumers ask for them by name," says Karen Peterson of Lexco. "We are pleased to offer IBDs the complete line of Oryg product." Says Brian Scura, CEO of SST: "Karen Peterson's persistence and dedication to increasing the market share and developing a new customer base for SST products made it an easy decision to award Lexco our distributorship. We look forward to working with Lexco for many years to come." 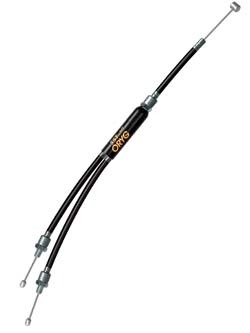 For more information on Oryg detanglers and cables and other quality cycling products distributed by Lexco, e-mail sales@lexcobike.com or call (800) 626-6556. Lexco offers value-driven bicycle products and services to the marketplace. Lexco is a family-owned and operated business that began as a hardware store and Schwinn franchise on Chicago's west side in the 1950s. It continued as a Schwinn bicycle shop on the city's north side in the 60s, and in the 70s, Lexco began making bicycle security cables and has grown that into Lexco's cable division showcased at www.lexcocable.com. Lexco became a full-scale bicycle parts distributor in 1978. For more information, call toll-free (800) 626-6556.